London, 12th August 2012: Cloud communications company Content Guru and British Polling Council members Survation conducted a Storm poll to gauge public opinion of the 2012 London Olympics and its impact on Great Britain. A nationally representative sample of 1,018 people participated in the survey, sharing their views on some of the most controversial issues around the Games. Furthermore, the vast majority of people agree with David Cameron and Boris Johnson’s statements in recent days regarding state schools and the small amount of “proper” sport on the national curriculum. A convincing 63% agree that “Schools don’t do enough to promote sport as part of the national curriculum” against only 15% that disagree. However, in the wake of Great Britain’s biggest medal haul since 1908, 66% of people felt that Great Britain has been endowed with a lasting sporting legacy, with only 12% disagreeing. The survey also found that 82% of people considered the Games to have been well organised (only 6% disagreed), echoing the glowing endorsement from Jacques Rogge, President of the International Olympic Committee, who described London 2012 as “absolutely fabulous”. Danny Boyle’s opening ceremony remains well-received, as 64% of people felt it made them “proud to be British”, with only 10% disagreeing. Recent controversies around doping accusations also seemed not to have tainted the public’s impression of the games, as 71% of people considered the 2012 Games to have been “fair and drug-free”, with only 4% disagreeing. Finally, despite the many successes of the games, the public remains unconvinced on the subject of the ticket allocation system, with 57% believing that it was not well executed against only 13% who thought it was. 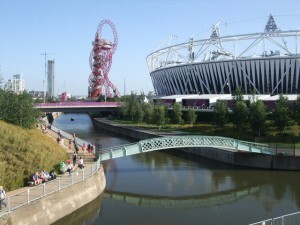 Overall, the poll demonstrates a positive reaction from the British public in spite of concerns around the cost of the Games. Time will tell whether their economic and sporting legacy can live up to expectations.